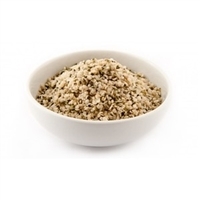 HEMP SEEDS, Organic, 1 lb. Organic Hemp seeds provide an excellent dose of complete protein, along with fiber, chlorophyll, B vitamins, and minerals. Hemp seeds provide moisturizing, anti-inflammatory oils with the ideal ratio of omega-3 and omega-6 essential fatty acids, plus the rare Gamma Linolenic Acid (which isn't found in flax or chia).